Why a Shozy Zero Review? Shozy are a budget earphone amp and DAP brand that seem to be based out of Hong Kong. I had some contact with them a few years back about checking them out but nothing ever materialised. However, thanks to one of our readers who loaned me his set for a week before he puts them up for sale we have finally got round to doing a full review of the Shozy Zero earphones. Shozy are probably best known in the audio community for its incredibly weird and frustrating to use (It has no screen) DAP. While it is praised by many I didn't feel that the sound didn't significantly outperform the likes of Xduoo's X2 and Colorfly's C3 to warrant not having a screen and being about as ergonomic as holding the serrated edge of a buzz saw. The Zero however, are a fairly straightforward looking set of earphones. There's nothing too crazy going on here but they are said to offer some good sound at a good price and that's something we like a lot. Decent build but uninspired styling! Shozy sure like to get creative with marketing bumf on their website. You read things like "humble symmetrical driver placement" "selected brazil rosewood". Apparently, they are tuned by a mysterious acoustic engineer who goes by the name of "Jupiter". I had to laugh. 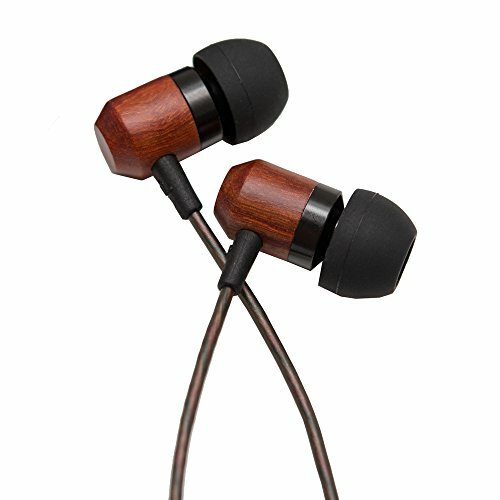 What you really need to know is that they are a budget focussed wooden earphone with dynamic drivers. They are a good looking but generic looking set of earphones but the housings really don't standout looks or build wise from the vast majority of wooden earphones you find at this price point. Brands like House of Marley, Kanex and look almost identical to the Symphonized GLXY. The cable is a different story. I like it a lot and found it to be extremely low on microphonics and very resistant to tangles. It reminds me alot of the cable on my Vsonic GR-07 and that is a pretty big compliment. Strain reliefs and splitter were what I would say adequate for the job although I would like to see a little bit more flex where the housing meets the cable. Styling aside, whilst the Zero don't feel anywhere near a premium eaphone (In fact the style and build is a bit of a let down at $60) the do seem like they will be fairly durable over the long term. You know with all the hype around these earphones I was really looking forward to the sound blows me away. That didn't happen. Although there was very little I hated about the Zero there was nothing that really stood out to me. I like warm headphones and the Shozy Zero oblige but perhaps just a little too much. Treble is buttery smooth, displaying not a hint of sibilance and the bass is quite full and thick. Likewise, the midrange comes across smooth and relaxed making for a very comfortable listen over many hours but at the same time it feels like they are not pushing out as much detail as I would want. Even against the KZ ATE and VE Monk, 2 earphones that cost under $10, the Zero just couldn't compete in retaining detail, creating soundstage or just overall clarity. It's not that I didn't like them , it's just maybe that they aren't my thing. I like hearing those extra details and while I do like smoothness I still want a bit of sparkle from my treble when the time is right. There's not much wrong with them but give how hyped they were I expected more at the end of the day i think they are still good competitors within their current price of $60 but going past that marker they face a lot of stiff competition. Against most of the stuff you find in stores nowadays the Zero for the price are going to sound a lot better for the same amount of money. But the remarkable Chi-fi market is in full swing now and there is plenty of options out there in the sub $100 earphone market. Lots and lots of good headphones occupy this space and while the Zero isn't necessarily a bad buy there are plenty of other options out there that peak my interest for the same amount of money. The build is good even though the design is as common as dirt and we really liked the cable. The sound will be perfect if you are treble sensitive but if you like a lot of detail and imaging best to look elsewhere. At the end of the day I like them, they are fairly priced & well built. Sonically IEM's over $100 will have little to worry about but if your budget is under $100 then you really can't go too far wrong with the Shozy Zero. A solid first venture into the earphone market from an up and coming audiophile focused brand.